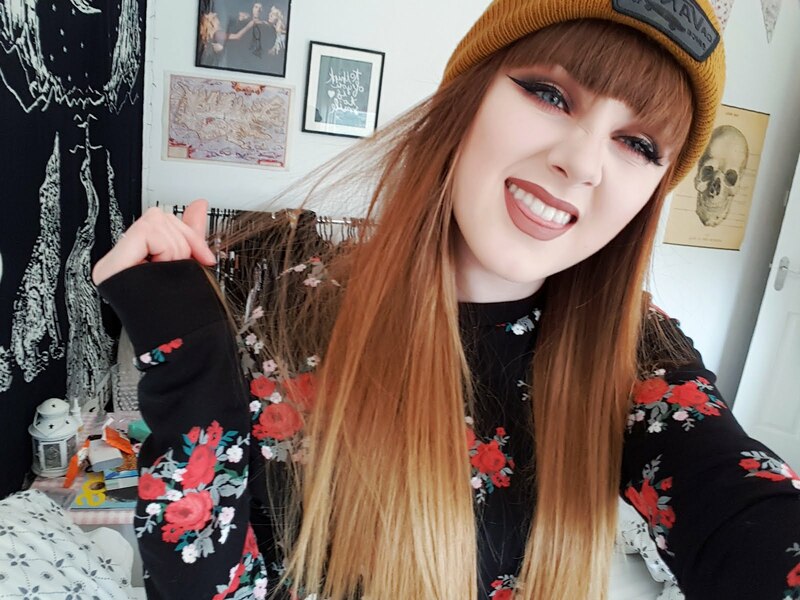 First of all, the weather here in Scotland is rubbish.. as usual.. and I have like another 3 weeks until I get paid and I want to go shopping in Glasgow but I have no shopping money or travel money! AH :(! Apart from that everything else is fine, my blog is keeping me more and more occupied these days which is great! 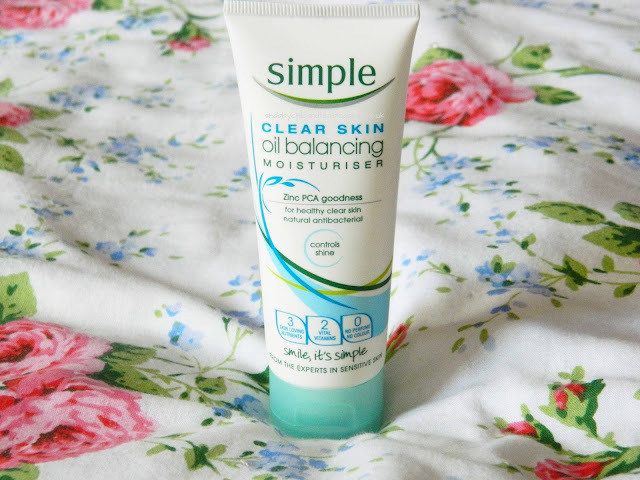 As some of you may know, I have had an ongoing love for the brand 'Simple' for a few years now and I am always excited when they introduce new products to their ever growing skincare range. 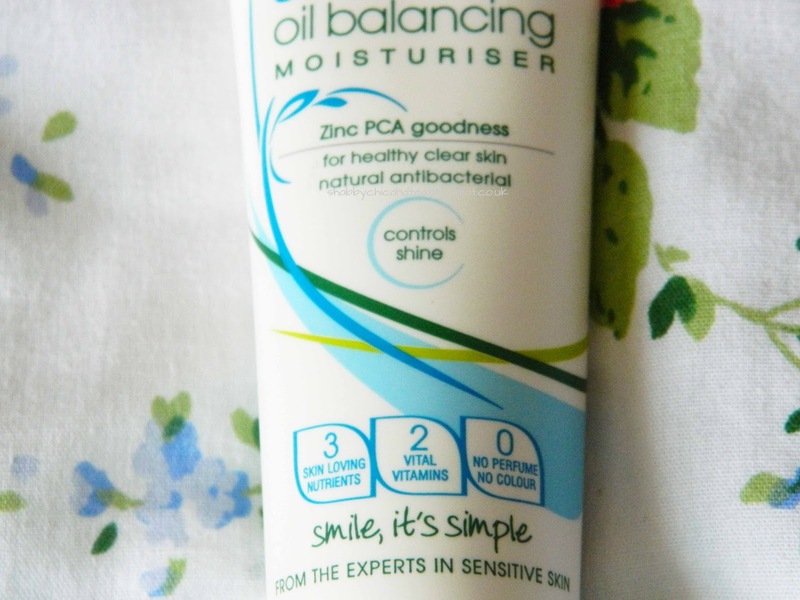 I have slightly oily/combination skin so I am always on the look out for oil fighting or oil balancing products. I know my skin is 'safe' with Simple so that is why I picked this up. It has a thick consistency when it is first squeezed out of the tube but once you apply it to your skin it evens out nicely. It gives my skin a matte finish once the cream has dried which makes it feel soft and smooth. I have used it as a primer before I apply foundation which seems to work really well. I am pleased with this product and I think that it is starting to balance out my skin, I will definitely be repurchasing it when it runs out.